The Oregon Storytellers project is conceived, written, filmed and photographed by storytelling director and dramatic portrait photographer Andy Batt in his studio in Portland Oregon for 1859 magazine. 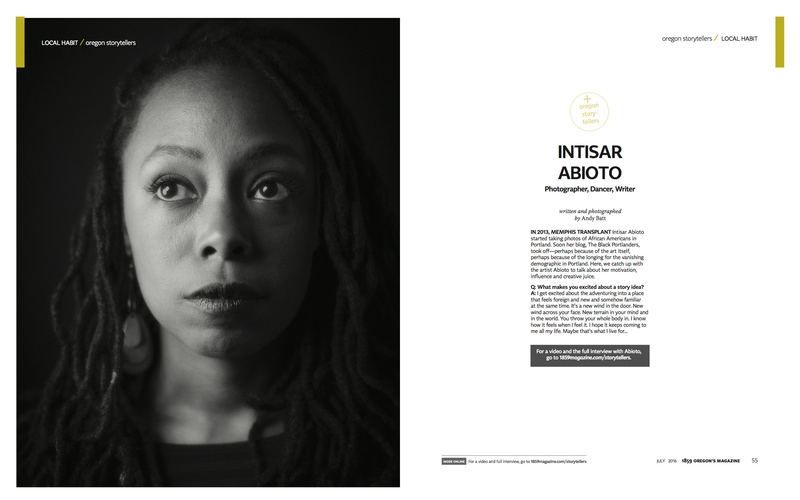 In 2013, Memphis transplant Intisar Abioto started taking photos of African Americans in Portland. Soon her blog, The Black Portlanders, took off—perhaps because of the art itself, perhaps because of the longing for the vanishing demographic in Portland.